Bonita Springs Utilities Inc. has begun the process of dismantling and removing the 151-foot water storage tank located on Hickory Boulevard in Bonita Springs. The process will span several weeks as the tank is cut into pieces to remove. 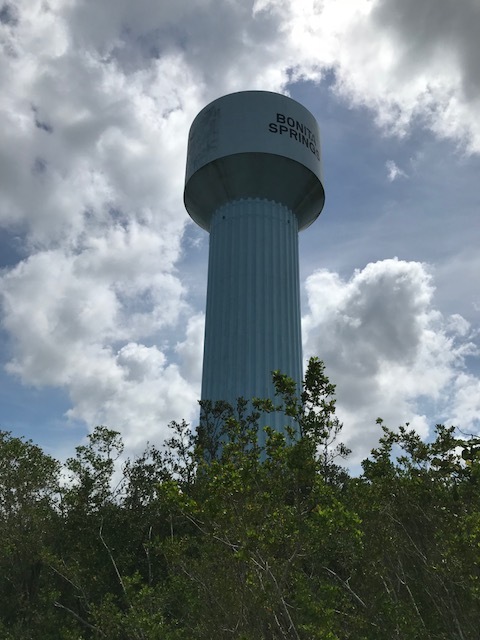 The 500,000-gallon water storage tank was constructed in 1982 to aid BSU in delivering water service to thousands of Bonita Springs residents. It provided consistent pressure to the barrier islands and helped sustain water pressure in the event of a break or failure in the water distribution system. In 2006, BSU replaced the aging water main along Hickory Boulevard and established a water interconnect with Fort Myers Beach in 2009, both of which reduced the water tank’s need. The water tank was taken out of service in 2014, which helped reduce flushing and improve water quality. BSU has removed other water tanks that outlive their useful lives, such as the Wisconsin Street water tank, which was built as part of BSU’s original system in 1971 and removed in 2005.